LAGOS – President Muhammadu Buhari’s first term is gradually winding up as Nigerians troop to the polls today, Saturday, February 23, to decide who will be Nigeria’s next president. Although there are 72 presidential candidates slugging it out in the 2019 presidential elections, five candidates stand out among the rest: President Buhari of the All Progressives Congress (APC) who wants to take Nigeria to “the next level”, Atiku Abubakar of the People’s Democratic Party (PDP) who wants to “make Nigeria work again, and Omoyele Sowore of the African Action Congress (AAC) who wants to “take Nigeria back”. Others are Kingsley Moghalu of the Young Progressives Party (YPP) who wants to “offer Nigeria visionary, purposeful, competent leadership to build our future” and Fela Durotoye of the Alliance for New Nigeria (ANN) who wants “to build a coalition of ideas around a strong ideology of a New Nigeria where things work and everyone is working to make things work”. Who will Nigerians give the mandate to become the next president among these candidates? Is it going to be President Buhari? Atiku? Or a new face? 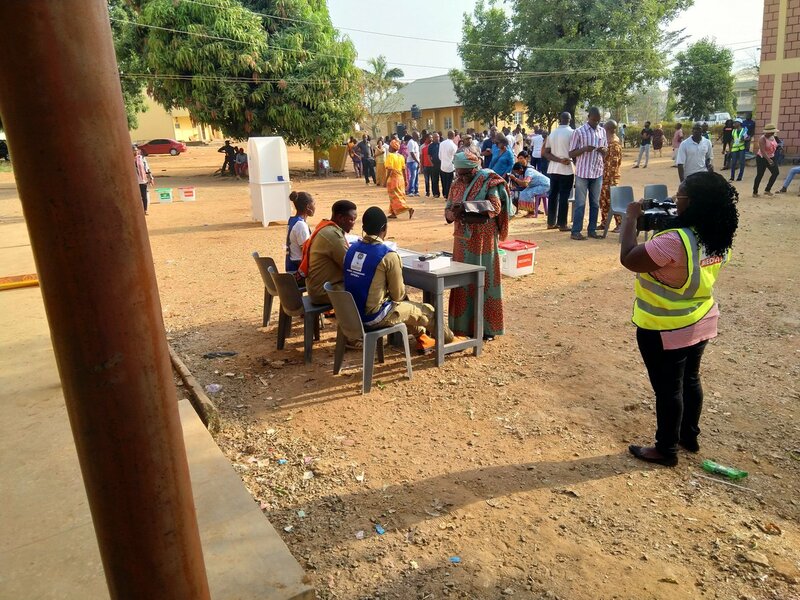 PML Daily brings you insightful live updates as Nigerians troop out to cast their votes for their preferred candidates today, Saturday, February 23, 2019. 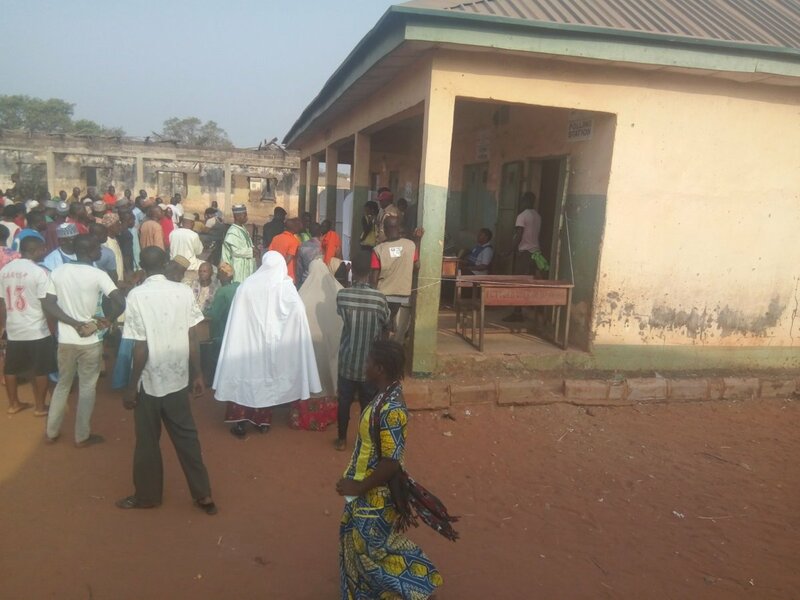 FOR THE RECORDS: 72,775,502 voters are expected to vote at 119,973 polling units across six geo-political zones. Voting commenced at 8 am local time. Follow our live updates here. Remember, you can use any of your FINGERS to VOTE but don’t let the mark cross into another box. President Muhammadu Buhari and his wife, Aisha, have voted in the Presidential and National Assembly elections in Daura. The President, who is the candidate of the All Progressives Congress was accredited just after 8 am and voted at 8:07 am. BREAKING: Dynamite explosions rock parts of Port Harcourt As residents of Port Harcourt, Rivers state prepares to vote, dynamite explosions have been heard in several parts of the state capital, Legit.ng a local daily reports. Areas affected include Rumuola and Diobu in the state capital. Also affected is Abonnema in Asari Toru local government area, the locality of Mr. Tonye Cole, All Progressives Congress (APC) candidate in the state. Legit.ng reporter heard the loud sounds of the explosion from PHLGA ward where he is monitoring the election. A security source who spoke to Legit.ng under the condition of anonymity confirmed the explosions but said no one was injured. ”Such things are normal around here. They simply drop the dynamites and run away. It is a tactic they use to scare voters away,” he said.